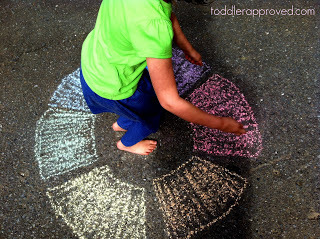 Sidewalk chalk is a fun and inexpensive way to spend time having fun with your family outside. 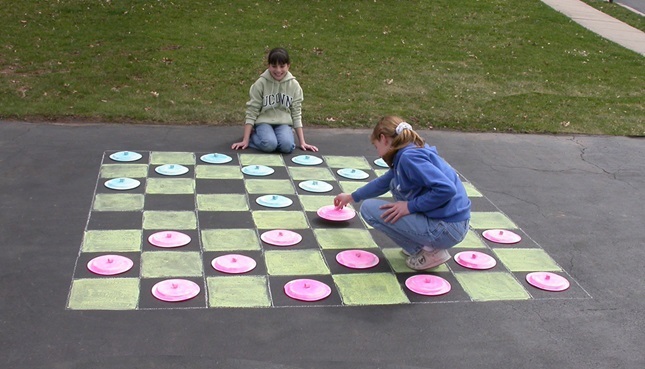 All it takes is a sidewalk or driveway and some chalk, and you have a fun afternoon ahead! Not only is it an instant canvas for your family’s art, but there are lots of games and activities to enjoy as well. The only limitation is your imagination! I was so excited when we bought our new house and it had a paved driveway. Pictured above is a fun chalk game board my brother-in-law created on our driveway last summer. We tossed rocks to score points. We play a lot of hopscotch, four square, and even came up with our version of the television food competition Chopped. Anyone who has been traveling away from the family or comes to visit is usually greeted home with special messages. *This post contains affiliate links. Read my full disclosure page here. 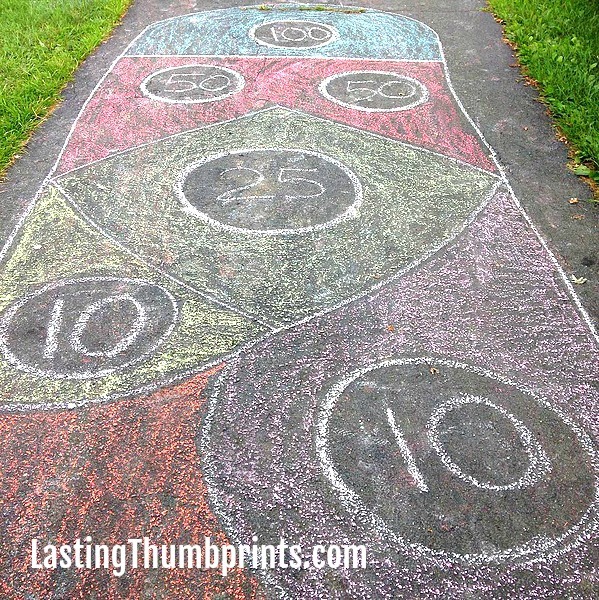 These fun sidewalk chalk ideas will be sure to keep your family entertained for hours. 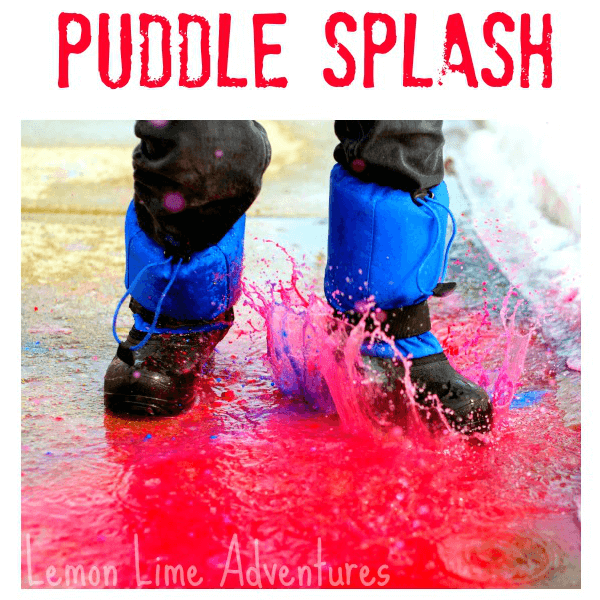 Talk about frugal family fun! 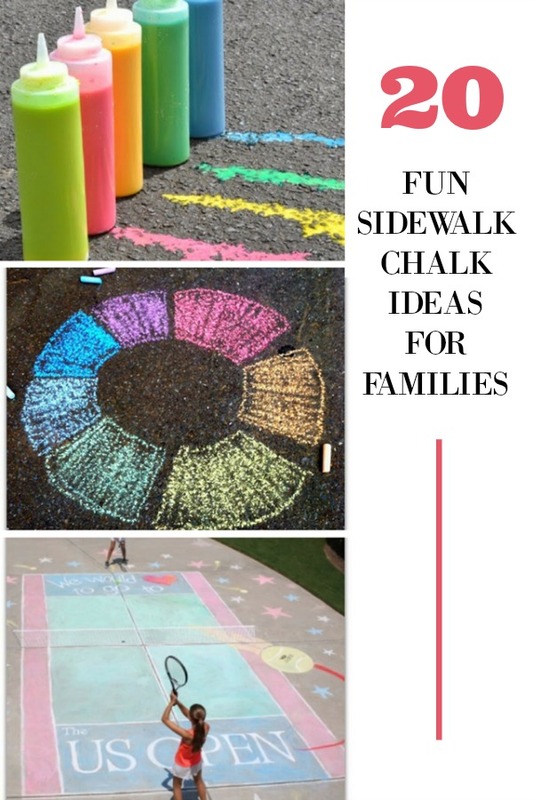 We go through a lot sidewalk chalk in our home and Crayola Sidewalk Chalk is my favorite brand and buy it when I can find it on sale. I think it’s the most durable and has the most vibrant colors. 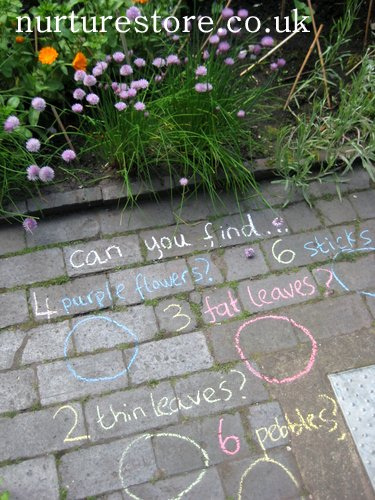 You can also sneak in some learning with these educational sidewalk chalk activities. Looking for more fun family activities? Sign up for our newsletter below! You’ll get exclusive freebies and content just for subscribers. Curious about your game of CHOPPED with the chalk. Can you give some details? My grandson loves the show and it would be so fun to do! Thanks! Sure! Sometimes I draw ingredients in squares on the driveway that represent the mystery ingredients and then they “make” their dish. Other times I just announce what the basket ingredients are and they draw them or just start making their dish. Each person has their own area for “cooking” and we have a designated pantry area that they can run to if they feel like it.